What is your closest win/loss? Assassins suppose to assassinate someone don't you think. Staying in your team is the best counterplay. I play Valeera in 90% of my games in HL. And I don't want old stealth coz I want to remain on about Master rank.Here an eye test, can you see this stealth plane or not? https://en.wikipedia.org/wiki/Stealth_aircraft#/media/File:F-117_Nighthawk_Front.jpgStealth =/= invisibility irl.Stealth = avoid radar detection irl. Impossible to be targeted by homing projectiles. Totally as in the game atm. Are assassins the best heroes to carry teams with in HL? 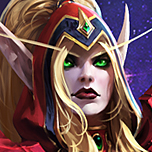 08/31/2018 02:00 AMPosted by MortalWombat^ Gratz on master Valeera btwTy. Melee assassins have their perk in climbing - you hardly find other melee assassin main in your team.Even support mains could get in 1 team and start to fight who of them going to support).And ranged assassins mains do it in 70% of games. Just think about your personal abilities.Good calls is simpler to implement with tank (coz if ppl don't read chat/ignore ping, they will at least follow tank).Good positioning better to implement with low hp characters (coz your teammates will die fast with lo HP char if they have bad positioning).Good micro better to implement with AA assassins.Good skillshot aiming better to implement with mages.Good muchup knowledge better to implement with solo laners.And so on.You can carry with every role but you need to be better than your opponent on this role. MVP is a reason for anything....It like most insignificant thing ever. Just stats game can count was higher for some player that's it.Competitive games in LoL, you mean farm 40 min, wait till 1 guy get caught watch his team loose. Repeat. And unlike HotS this happens in the highest ranks coz LoL is world of 1 shots in late game. Muted person can behave w\e he want in QM. HL is free of them.